As exciting as it was to see the Iowa State University Cyclones defeat Oklahoma State on Jan. 19 and as disappointing as it was for the University of Iowa Hawkeyes to fall to Michigan State on Jan. 24, the real winner this week was Coaches vs. Cancer. 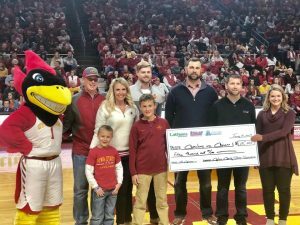 For the past seven years, Latham Hi-Tech Seeds has pledged money to the American Cancer Society for every free throw made by the ISU men’s basketball team. 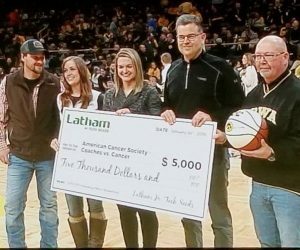 This year we’re pleased to announce that we’re also sponsoring a Charity Stripe Promotion that donates dollars to the American Cancer Society for free throw made by the Iowa men’s basketball team. Everyone can think of someone whose life has been affected by cancer. Our family was affected, too. On February 20, 2010, former Latham Seeds’ president Bill Latham underwent a stem cell transplant to battle Acute Myelogenous Leukemia (AML). That transplant extended his life more than five years. Due to this experience, we gained a new appreciation for all the American Cancer Society does to fund lifesaving research, treatment and support. We also appreciate the organization’s efforts to offer resources for those diagnosed with cancer, to cure different types of cancer, as well as to promote awareness. You can reduce your risk of cancer by making healthy choices like eating right, staying active and not smoking. It’s also important to follow recommended screening guidelines, which can help detect certain cancers early. 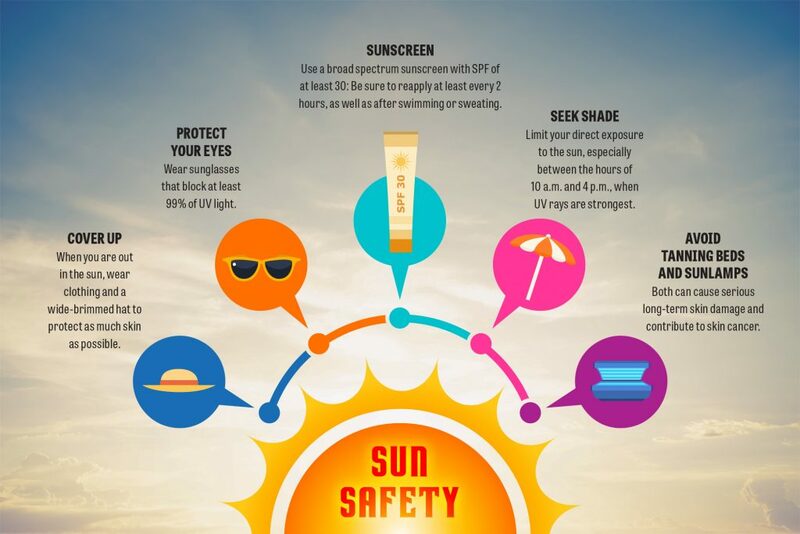 Because skin cancer is the most common form of cancer in the United States – and those of us in agriculture tend to spend a lot of time outdoors – today we’re reminding you of safe ways to have fun in the sun. We also want to share with you a recipe from Anne Hytrek, MSEd, RD, LD, CDE. Anne is originally from Franklin County, Iowa. 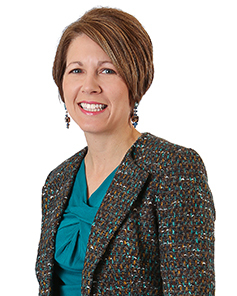 She works at Ankeny Prairie Trails Hy-Vee and serves on the Iowa Food & Family Project’s Advisory Committee of which Latham Seeds is a proud sponsor. Anne has shared ways for keep your New Year’s Resolution of eating healthy and tips for creating heart healthy meals. Today she’s sharing with us a recipe for healthy comfort food to warm up on a cold winter’s night. Heat oven to 425 degrees. Line two large roasting pans with aluminum foil; spray with non-stick spray. 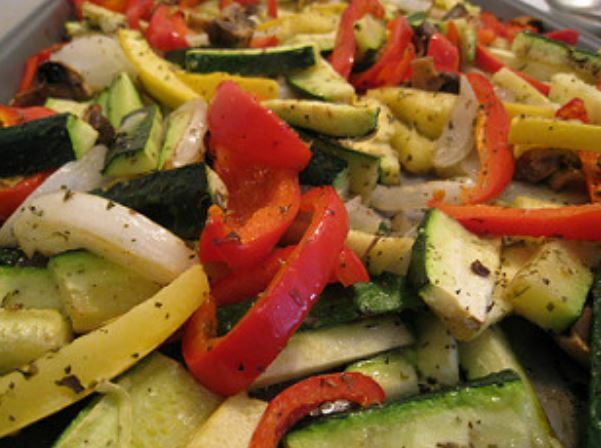 In a large bowl, toss the vegetables with olive oil, herbs, salt, pepper and vermouth. Mix well. On one pan, put approximately 4 cups vegetables; put remaining vegetables (about 5 cups) on the other pan. Spread in an even layer so vegetables are not crowded together (they need space for air to circulate and for caramelization to occur). Place in oven and roast the vegetables for 12 minutes. Sprinkle with the Parmesan and toss gently. Continue roasting until vegetables are well browned, and just fork-tender, about 5-8 minutes longer. Drizzle with balsamic glaze. Serve. To substitute frozen Brussels sprouts: Microwave 3 packages (each 16 ounces) frozen Brussels sprouts in a microwave-safe bowl; cover with plastic wrap. Microwave for 3 minutes on power 6; toss to redistribute. Cover and return to microwave; cook for another 2 minutes on power 6 or until thawed. Cut in half and proceed with step 1 in recipe.